Crohn’s Disease and Ulcerative Colitis are chronic (on-going and lifelong) inflammatory bowel diseases that affect at least 300,000 people in the UK. At the age of 9, I was diagnosed Ulcerative Colitis. For the next two years I was in and out of hospital trying almost every treatment there was, to try and control the symptoms but nothing seemed to work. By the end, my large intestine was so badly ulcerated my body started to give up. In March 2001, at the age of 11, I was two and a half stone, couldn't keep any food down and was rushed into hospital. I was too weak to survive the anaesthetic, so the doctors spent a week building me up then finally operated to remove the whole of my large intestine. I then lived with an ileostomy bag throughout my teenage years until I was 18 when the stoma was removed, an internal J-pouch was constructed, and I was reconnected again. I am now 11 years post reconnection and have been on a huge journey including discovering the power and enormous impact that nutrition and lifestyle medicine can have. I am doing very well now but I know I am one of the lucky ones and there are hundreds of thousands of people out there suffering with these horrible, debilitating illnesses day in day out. 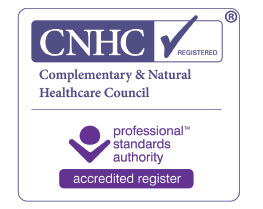 This is why I am now a Registered Nutritional Therapist and work with sufferers of Crohns, Ulcerative Colitis and IBS, to help support them manage their symptoms alongside their medication with nutrition and lifestyle medicine. If you would like to find out how I can help you please book a free discovery call with me.